Raleigh has one of the nation’s best and most prominent greenway systems. In, addition we retain some of the best aspects of Southern towns — ready access to rural settings, and a real connection to the land, as partly evidenced by the growing popularity of the sustainable, heritage agriculture movement. We love our nature, whether it’s jogging the greenways or hunting doves, and the wildlife and natural areas are treasures important to people of all political persuasions. This blog explores those interests through the eyes of an amateur but well-informed naturalist, concentrating on resources inside or within a mile of the beltline. Your photography is gorgeous. Thank you for preserving images of the lovely natural sites interlaced in our great city. I have “only” been here 24+ years and have seen a lot of changes, but it still is my #1 choice place to live because of the natural surroundings that are still plentiful here. I hope we never lose that. Thank you for sharing with others. The children at Fletcher are so blessed to have you … and now the community can benefit from your insights and talents. Thanks. B.W. It’s definitely worth a bookmark for anyone who loves our Capital City. S.S.
your pictures are soooo beautiful that it reminds me to go outside and play. 🙂 A.A.
…love looking at your pictures and reading about Raleigh, then and now. Please keep me on a mailing list. P.A. 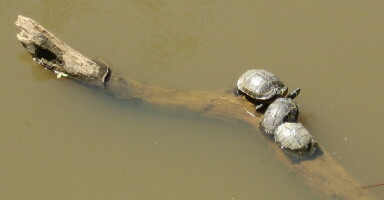 Remember that if you see a really bumpy log when you are on the greenway, the turtles are having a good day too! K.B. Great blog! I’ve been in Raleigh my whole life so I really appreciate its natural beauty. Thanks for showcasing it as well! Raleigh Nature began with an idea for a series of natural history essays that came to me upon seeing a hawk fly right across my windshield at the intersection of Oakwood and Hill Street, close to downtown Raleigh. The dream of a book called The Natural History of Raleigh had been brewing in mind for years: ever since Cara found me a lovely copy of John Kieran’s Natural History of New York City at The Reader’s Corner. Seeing that hawk and thinking of the pigeon history of downtown Raleigh, the emerging greenway system, and other nature issues, I realized a periodical guide to wildlife inside the beltline would be fun. And it could set me up to publish, with my scant qualifications, the book of which I dreamed. In my usual style, I began months of walking the greenways and stopping to write short notes on my shirt pocket cards. Once I had amassed a quantity of these, I collated them (physically, with tape) to a large folder divided into the green hot spots of Raleigh. I wrote my introduction, and started developing the other essays. My plan was to publish them with the Indy if possible, or wherever else I could work out. I wanted to have several finished essay in hands before approaching a publisher. Then blogging came along. My friend Clyde explained it to me, I did some writing for one, and then he and I worked up the idea for Raleigh Nature. At first it was hosted on Clyde’s amazing net empire, but in July 2008, six months into the blog project, robohacking issues put me and my blog back at WordPress.com, whose systems I had been using all along. And here we are. I plan to blog for a while now before putting together the book. The blogging process has both shifted and focused my writing efforts. The shift came from the dominating effect of photographs in the blog medium: I am a totally amateur photographer, using a Canon Powershot A540 (point and shoot), but the photos are a huge part of Raleigh Nature, and very probably any book project. The focus is sharpening on the greenways and natural areas not primarily as recreational resources, but as fundamental cultural resources that are a wellspring for memory as well as current connections to the Earth. I have been amazed by the bond between long-time residents and the preserved natural areas which connect them to their childhood or family history. So as I move toward my book, I’m learning the full connotations of the word “history” in my proposed title, The Natural History of Raleigh. 6/15: This blog always centered on a book project: The Natural History of Raleigh, which now exists as a finished manuscript of 25,000 words I am working to get published. Having retired from over twenty years as a special educator, my wife Cara and I are selling our Oakwood home and moving to Asheville, setting up book arts studios as well as a big garden and small greenhouse to grow food, papermaking fibers, and flowers. The blog will eventually take on a state-wide perspective, but will always focus on urban natural areas and have plenty of posts about Raleigh. I was born in Raleigh (1964) and grew up playing in Bushy Branch creek, which ran through my yard in west Raleigh. That experience influenced my love of nature and playing in creeks – so I can really appreciate your creekbank views and urban nature adventures in Raleigh. I live in a bend of the Neuse River now – adjacent a new City of Raleigh nature park on the Neuse called Horseshoe Farm Park. You should visit – Raleigh annexed it a few years ago and it is open to the public – though it has no “amenities” yet. There is a City webpage about the park, and a citizen group website (not updated in awhile but full of information) http://www.horseshoefarm.org. There’s also a Facebook group to support the natural aspects of the park – “Horseshoe Farm Park” Thanks for the blog – it’s a great resource! I have enjoyed reading your blog. I have always been interested in Raleigh’s history, especially it’s natural history. The information you give on Raleigh’s streams, creeks, greenways, etc give me knew places to explore on foot and bike. I am looking forward to your future posts. Thanks again. Just found your blog! Excellent! 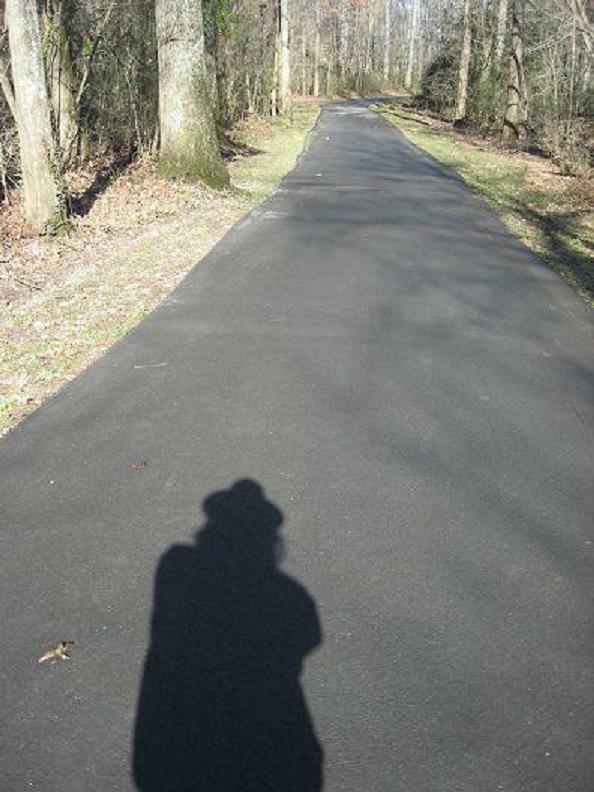 I’m a fellow Raleigh blogger at DowntownDame.com… Our parks, greenway, and wildlife are a constant joy. Thank you for sharing your experience with us.